Tonight Blitz Kids return to York to play in support for Canterbury at the Duchess, looking set for a repeatedly impressive performance as of last year, when they were here next door at Fibbers supporting Mallory Knox. The atmosphere in the room is rather relaxed and chatty, giving the feeling the majority of people are here for Canterbury, but Blitz kids know how to win over a crowd. As the lights drop ready for Blitz Kids to take the stage, the early crowd of 30 soon doubles and suddenly all eyes are on the stage as ‘All I Want Is Everything’ kicks in, gaining a reasonable response from a previously quiet crowd. Front man Joe James strolls onto the stage grinning and looking confident as ever, as this is now a pretty routine gig for Blitz Kids having supported so many bands over the last few years. 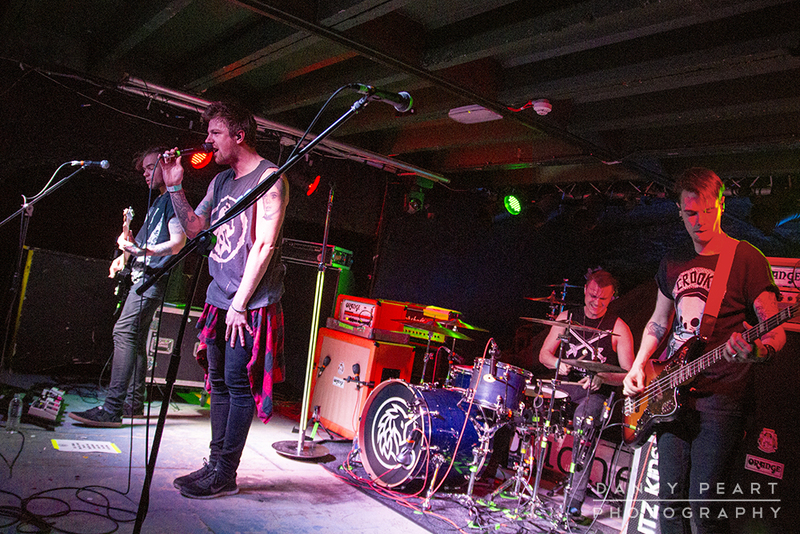 The set starts off reasonably strong with songs such as ‘Run For Cover’ and ‘Perfect’ ringing familiarity to the likes of Young Guns with strong guitar riffs and big choruses. The show soon kicks in when the infectiously catchy riff of ‘Sometimes’ fills the room, and the crowd is soon singing along with some guidance from the front man, creating the highlight of the set so far. The chilling ‘Never Die’ follows and fulfils the job of winning over the room as the lingering crowd at the back of the venue is pulled towards the stage to get involved as the atmosphere builds up quickly. The strong set eventually closes with ‘On My Own’ as the band fly around the stage confidently, looking as though they wouldn’t struggle to fill the stage in a venue five times as big, which undoubtedly will happen for the band at some point throughout the course of the year. The big chorus gets the crowd singing along and front man Joe James thanks the crowd with high fives all around down at the barrier. A pretty strong performance all around from Blitz Kids, who are likely to be turning more heads this year.